The Republicans, who control Congress but struggle to get much done, are famed for their promotion of “messaging” bills that don’t change anything. This bills are basically vehicles for advancing their party’s messaging and putting Democrats on the spot. Recent examples include the “Tax Cut 2.0” bill which never had a chance of being enacted, and a measure to abolish ICE when was purely intended to make Democrats either embrace a controversial proposal or offend elements of their base (it didn’t work). President Trump has said that he believes that the new “short-term, limited-duration insurance” could help millions of people who do not want or need comprehensive health insurance providing the full range of benefits required by the health law. The new plans will provide “much less expensive health care at a much lower price,” Mr. Trump said. The prices may be lower because the benefits will be fewer, and insurers do not have to cover pre-existing conditions or the people who have them. 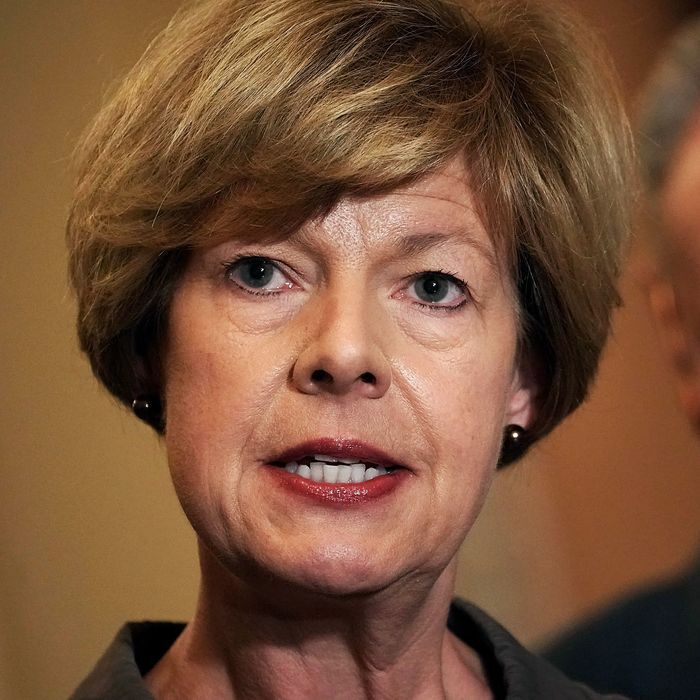 Baldwin pointed to one plan sold in her state that she said does not cover hospital care on a Friday or Saturday. “So, it will just be your bad luck if you happen to get sick and need health care on the weekend,” she said. With Democrats pressing their advantage on health-care policy all over the country in the run-up to the midterm elections in November, this symbolic measure had some very real political value.